Emilicia STYLE - A Beauty, Fashion, & Lifestyle Blog: Outfit: Neon Coral Beanie & Shoes! 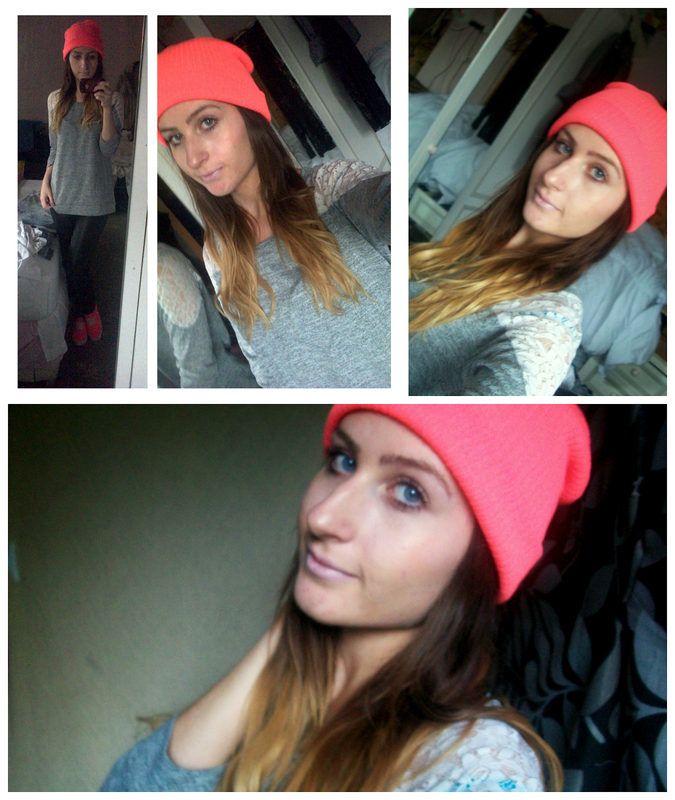 Outfit: Neon Coral Beanie & Shoes! Hello stylicias! 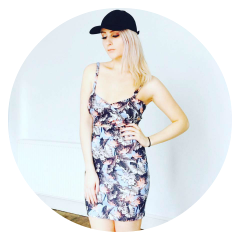 I try not to normally make a habit out of apologising too much for not posting on my blog now and then, but this time I feel it's necessary. I've been going through some stuff lately (which makes it very difficult for me to even do homework, nevermind blogging!) but this week I have the spare time to devote some love to my blog again, so will make sure a new post gets out EVERYDAY until Friday! It's been quite some time since I even attempted writing a daily post, but I figured it may be a good idea to get back into that habit, whilst I have the chance. Anyhoo, let's crack on to Monday's OOTD! Last week, I discovered this super pretty beanie whilst drooling over everything in the new Forever 21 that's opened locally to me, and for £2.40. I think it's sensible to say I found a pretty good bargain! I love this neon coral colour, and to my delight, also matches my neon pink pumps (unintentionally too!). I threw on this outfit yesterday before a lovely walk in the park with the family and dogs, and couldn't be happier with the overall look. I love a cosy sweatshirt, especially this one with the added pretty lace detailing, and the leather pants make the outfit look a little less basic than something with black leggings would. I'm just happy it's finally hat weather again! What do you guys think of the outfit? Do you have your own beanie hat yet? Hi there, thank you aha! And thanks for commenting :-) have a great day!